Are you considering marrying someone with bad credit or a lot of debt? If that’s your situation, you may have a number of concerns. You worry about how this will affect your family’s future financial stability. You also want to go into marriage with your eyes wide open. If you’re considering marrying someone with debt or poor credit, here are some things to keep in mind. The reality is that all couples enter marriage with baggage. Committed couples work together to solve whatever difficulties arise. You have the joining of two people. Each person brings their own struggles together, puts them on the metaphorical table and lovingly works through them as a team. The last thing you want to do is go into a marriage bitter about your spouse’s unfavorable financial situation. For that reason, it’s important to decide ahead of time if you’re at peace with marrying into potential financial challenges. It’s of utmost importance that the two of you communicate truthfully about your financial situations and credit scores before tying the knot. You don’t want “surprise debt” after getting married. Each person needs to mentally prepare for what they’ll be taking on upon marrying. In addition, you should evaluate what led to the debt. Was it due to bad spending habits or because of something else? Debt is one thing. Poor spending tendencies are quite another. Debt is something you can work together to lessen. However, if one or both of you has impulsive spending habits or is living above your means, this needs adequately addressed before marriage. If these unhealthful spending habits don’t change, you’ll probably never get out of debt. You’ll just add to it. And that’ll lead to serious marriage problems. Pre-marital counseling is always a good idea for couples. 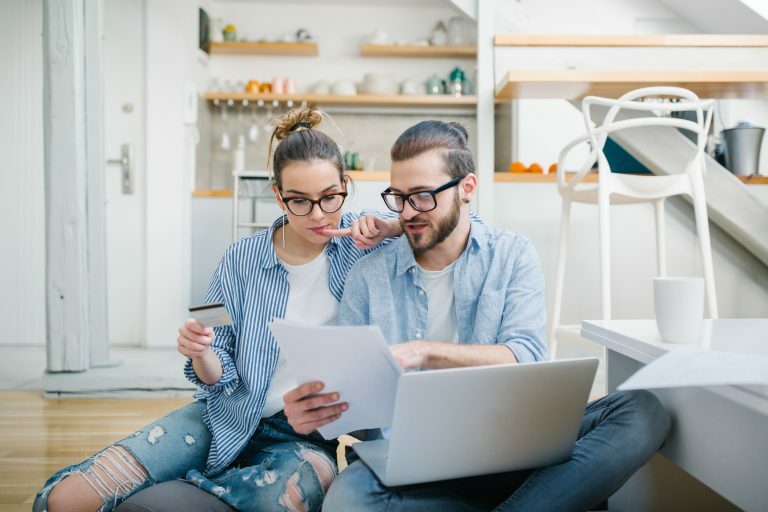 There’s a lot more than just finances to work through and, without adequate help, many couples find that their first year together is really tough. Your therapist can help you prepare for marriage including any financial concerns you may have. You’ll be able to discuss your finances together and develop a plan to ensure success. In addition, you’ll get the chance to address any impulsive spending tendencies. Are you considering marriage? The OC Relationship Center can help make sure your marriage gets off to a strong start. You can schedule an appointmentwith us at our Newport Beach or Mission Viejo, CA offices. Are You (and Your Relationship) Ready to Live Together?